Hsp90 is a highly abundant and ubiquitous molecular chaperone which plays an essential role in many cellular processes including cell cycle control, cell survival, hormone and other signalling pathways. It is important for the cell’s response to stress and is a key player in maintaining cellular homeostasis. In the last ten years, it has become a major therapeutic target for cancer, and there has also been increasing interest in it as a therapeutic target in neurodegenerative disorders, and in the development of anti-virals and anti-protozoan infections. 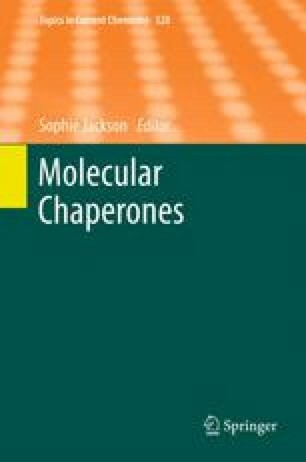 The focus of this review is the structural and mechanistic studies which have been performed in order to understand how this important chaperone acts on a wide variety of different proteins (its client proteins) and cellular processes. As with many of the other classes of molecular chaperone, Hsp90 has a critical ATPase activity, and ATP binding and hydrolysis known to modulate the conformational dynamics of the protein. It also uses a host of cochaperones which not only regulate the ATPase activity and conformational dynamics but which also mediate interactions with Hsp90 client proteins. The system is also regulated by post-translational modifications including phosphorylation and acetylation. This review discusses all these aspects of Hsp90 structure and function. I would like to thank my research group and collaborators (both past and present) for many interesting and informative discussions over the years. In addition, I’d like to thank everyone in the Hsp90 community, particularly Prof. Johannes Buchner and Prof. Didier Picard for providing us with many fantastic meetings in beautiful locations. Finally, I would like to dedicate this review to my father, who sadly passed away whilst I was writing it. Without his love and support over many years I am sure I would not have got this far.